Christmas is coming and it will soon be 2019. Here at NHCC we have been reflecting on the challenges that the house building industry has faced during 2018 and the new challenges that will arise in 2019. So we have written our own special Christmas list – a list of things that Father Christmas can’t bring down the chimney, but which would certainly be welcome gifts for us and the house building industry. Brexit has dominated the news throughout 2018, and will continue to do so in 2019. It is creating huge amounts of uncertainty and planning for the impact of Brexit, without knowing what form Brexit will take, is challenging. The impact of a no-deal Brexit on the house building industry would be significant. Access to labour will be the main issue for house builders – as the exchange rate deteriorates the UK becomes less attractive for overseas workers and labour supply may be reduced by immigration controls. All of this will make labour more expensive and, as material prices are likely to increase as well, there will be increased pressure on margins. 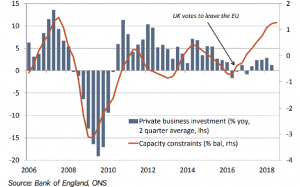 At the FMB Policy Conference on 4th December Professor Noble Francis (Economics Director & Honorary Professor at the Bartlett School of Construction & Project Management) reported that, year on year, the construction industry is doing well having grown by 0.7% despite a very difficult start to 2018. He predicts growth of around 0.6% for 2019, subject to the Brexit risk. 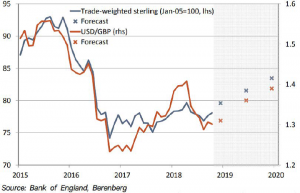 He predicted that a potential GBP currency devaluation of another 20% against the euro and dollar is possible if a deal is not agreed, which would lead to increased labour and material costs and so put further pressure on margins. Luckily over 80% of products used in UK construction are sourced from the UK, so the impact of a no-deal Brexit would not be as severe as it could be. But it’s not all doom and gloom. The UK housebuilding industry outperformed the construction sector as a whole for the first 9 months of 2018 year on year, delivering 7.7% growth. The Economist forecasts the level of growth to slow off slightly but still to outperform the sector as a whole by some margin over the next 3 years. As pressure for growth in the house building industry continues, one of the most important areas in delivering customer satisfaction, and positive recommendations, is how efficiently and effectively issues post-completion are dealt with. Dealing with post-completion issues will be more challenging if the shortage of labour and increased costs become significant in 2019. NHCC is already working with house builders across the UK to support delivery of excellent customer care. NHCC has a nationwide network of builders and specialists who are ready and able to take on the snagging and remedial works required by the house building industry. As a result, NHCC can help house builders deal with their labour shortages and rising costs. We are all fed up of seeing bad news about the house building industry. Articles such as the BBC’s recent reporting of “New homes ‘crumbling due to weak mortar’” continue to adversely affect the image of the whole industry, particularly where defects are not professionally remedied quickly and at the first attempt. In 2015 the HBF published a report entitled “Massive ‘hidden’ social and economic benefits of home building revealed” which showed the full extent of the contribution the house building industry makes to the UK’s economy and its communities. It provided a robust estimate of the economic footprint of an industry worth (at that point) £19.2bn per year to the UK economy, responsible for the employment of more than 600,000 workers and generating £1.4bn in tax revenues for the Exchequer, as well as the additional community benefits derived from building much needed new homes. At the Annual RESI Conference in September 2018 the Housing Minister Kit Malthouse thanked the industry for what it has achieved to date, specifically noting the 50% increase in net additions to the UK housing stock since 2010 and over 60,000 EPCs having been registered in Q1 2018 (a lead indicator of further growth in new housing volumes). In October 2018 at the Housing Market Intelligence Conference, Stewart Baseley, Exec Chairman of the HBF, reported EPCs now tracking at c. 225,000 per annum and plots consented has now reached c. 355,000 per annum. Also, whilst the Government target of 300,000 new homes per annum looks challenging, many industry influencers including David Thomas, CEO of Barratt, believe it is achievable. None of this good news gets reported in the mainstream media. The house building industry as a whole continues to invest in delivering the homes people across the UK want and can be proud of, and good aftercare services are an important part of this. NHCC is helping house builders across the UK address their needs for investigation and repair, from the most complex to the most straightforward, whether a previous attempt at rectifying by an original subcontractor has failed, or an organisation needs some support in resourcing for its in-house customer care function. As we set out in our previous article “Fixing The System” the new Housing Ombudsman will create additional costs for house builders and will require new infrastructure and systems and expert teams to manager aftercare, complaints and snagging. If house builders across the UK recognise the benefits of investing in customer care NOW, ahead of the new Housing Ombudsman, they will improve the quality of their products, customer satisfaction, and profitability. By investing in the customer care processes, technology and people house builders will see a significant return on their investment. So overall, house builders could save up to £210,000 for every £1 million of development cost by improving subcontractor and site management, collating information and sharing it with design and development teams, learning from issues identified by customer care and carrying out more pre- and post-completion checks. 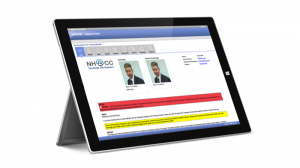 On site technology (NHCC Scoper) which can be deployed to building sites immediately to capture images, video and voice data to report consistently on customer care activity. Capture and analysis of error data to direct improvement. Implementation of best practice processes to improve customer satisfaction when things do go wrong. Specialist repair services where an in-house customer care teams need additional expert support. Independent inspections pre-completion to mitigate the risk of snagging issues/defects after home buyers move in. it’s a defect that needs remediation. By encouraging and focussing on identifying and addressing errors at the earliest point during construction our industry will achieve much improved quality in output. Inspired by Honda’s red buttons, it is now common practice in the automotive sector that anyone can stop a production line if they spot something wrong. Does your organisation already promote that culture of getting it right out on site? If the UK construction industry acted and behaved like the aeronautical industry it would voluntarily be communicating where mistakes have been made and the lessons learned, to help mitigate the risk of re-occurrence. To what extent do you currently assess and share such information outside of your organisation? Part of the massive improvement in reliability of electrical components in the automotive sector was due to the design of components that can only be installed in the correct way. A move towards this in construction could reduce errors and help to address concerns that the skills shortage will lead to quality degradation. There is much debate in the industry about robots, technology replacing people and how off-site construction will become more mainstream. But house builders don’t have to wait for such major technological developments, which may take years to implement. There are much simpler ways to manage quality and output that house builders can have access to now. NHCC is already helping house builders nationwide to implement simple process changes that identify and quickly resolve errors, pre- and post-occupation. In addition, NHCC is showing how analysis of the data that house builders already hold can create improvements to reduce errors in future developments. 2019 looks set to be another challenging but exciting year for house builders. Brexit, the new Housing Ombudsman, negative pressure from the press and increased focus on customer care and technological processes all bring issues for our industry, but also exciting opportunities. Any house builder that is ahead of the game will benefit enormously from these opportunities, and our Christmas wish is to help you get ahead. We wish you all a very Merry Christmas. And we hope that your New Year’s resolutions will include a phone call to NHCC to find out how we can help you.